This video covers a new and safe treatment for Autism. It uses umbilical cord stem cells to help repair and improve the symptoms of the child. It was conducted at Duke University in the United States. Juvenile mesenchymal stem cells are prepared into a saline bag and given to the child through a simple saline drip. The stem cells will go to the areas they are needed. In many cases they will home in on the intestinal track and brain. Here, they will secrete cytokines and growth factors. This will signal the resident stem cells to proliferate, causing tissue regeneration. The child can receive multiple doses over a period of time. 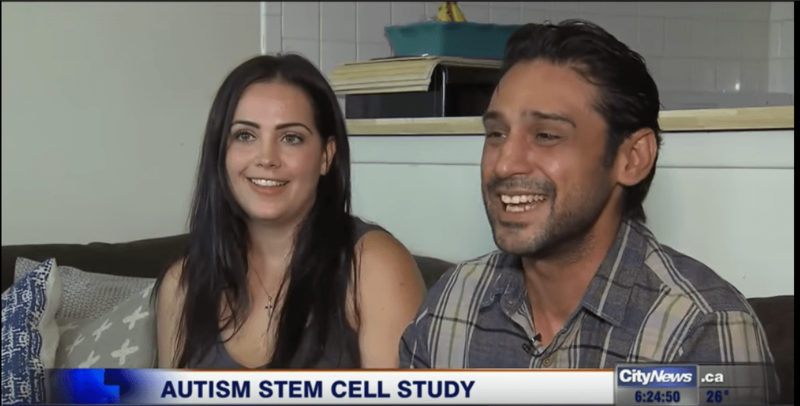 Both Duke University and Sutter Medical in the United States has successfully used cord blood stem cells to treat autistic children with very successful clinical results. This represents published peer-reviewed scientific evidence of how adult stem cell can safely help improve symptoms of ASD for your child. If you did not store your child’s cord blood or have been denied access to a clinical trial, this stem cell treatment is now available in Bangkok, Thailand.